Monday Memes: What are you reading? 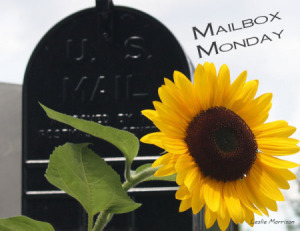 What’s in your mailbox? Under a Red Sky: Memoir of a Childhood in Communist Romania by Haya Leah Molnar. Man, what a story. I’m not sure what else to say other than this was a real eye opener. Having been a child in the 1980’s, you heard a lot about the evils of Communism, bread lines and the like, but you don’t really get what it all entailed. Now, I have some inkling and, as an adult, I’m astounded. But for Eva, as a child who knew no different, it was quite an interesting experience to see it all through her eyes. Undead in the Garden of Good and Evil by Kim Harrison. This is the first novella in the Dates from Hell anthology. Loved seeing how Ivy came to work with Rachel. Also happy to see Kisten in this story because I adore their relationship, even when he’s being a punk vamp. Dates From Hell by Kim Harrison, Lyndsay Sands, Kelley Armstrong, & Lori Handeland. One down, three to go! Kiss Her Goodbye by Susan Gee. One of my outstanding Netgalley books. The Cuckoo’s Calling by Robert Galbraith. In audio. Only one new book this week! I had to renew two of the books I had out since I haven’t been doing very well with actually reading lately. Good news is, one is now finished! One book in my physical mailbox this week – The Black Ice by Michael Connelly, #2 in the Harry Bosch series. I won this from a contest on The Book Date. I am happy to say that I have not purchased a book since September 10, 2018. That’s thirteen days. I think it might be a record. Although I did buy a movie yesterday so, um, maybe I’m not doing as well as I thought? Anyway… read anything good this past week? Find any amazing surprises in your inbox? (Watch anything interesting?) Let me know! Hope y’all have a wonderful week. Asking for Truffle by Dorothy St. James – really cute cozy mystery! I was so tempted to buy the second in the series when I finished on Saturday night, but resisted. For now. Hah. Another unimpressive week! I think I’m finally over whatever funk my kids and/or co-workers gave to me, so I’m hoping for a better week this week! The mailbox was rather quiet this week, which is a good thing. I need to catch up! I had previously cleaned out my list of holds so that I could get through some of the owned books I have piling up around me. I forgot I even had this one on my list still. My physical mailbox was empty this week! That’s good and bad. Good because it means no more books piling up this week, but bad because NO MORE BOOKS. I’ve also currently put a moratorium on buying books with the exception of say, a blockbuster book everyone is raving about on sale for $1.99. But, for the most part, I’m trying not to buy anything for the rest of the year. And then I realize I’d made a preorder a month back and hey, surprise! You have a new book. Hahaha. Hit and Nun by Dakota Cassidy – I love her and her oddball sense of humor. I need to read Then there Were Nun first, but at least I have both books on hand for when I get that chance. Enough babbling for one Monday morning. How’d your mailbox look this past week? Get anything good? Read anything exciting? "When I have a camera in my hand, I know no fear." In which I read a book and tell you my honest reactions. So spoilers, obviously.